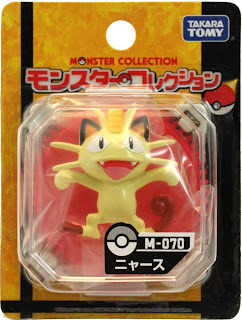 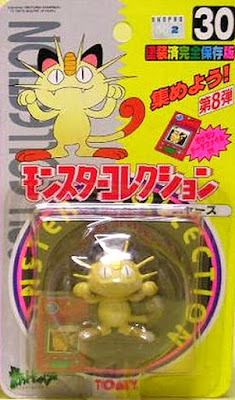 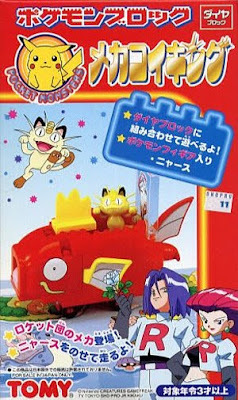 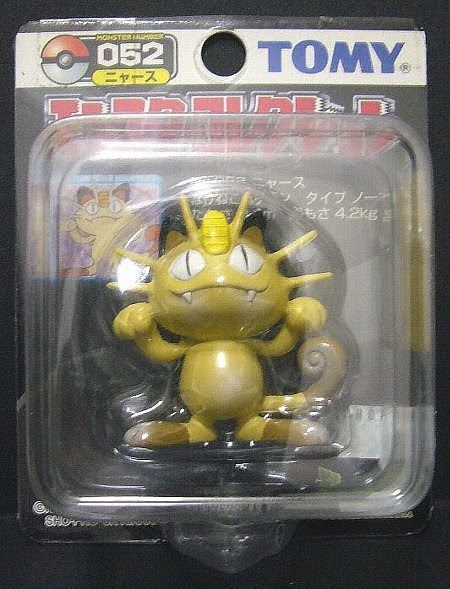 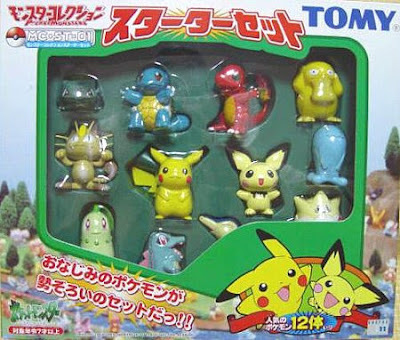 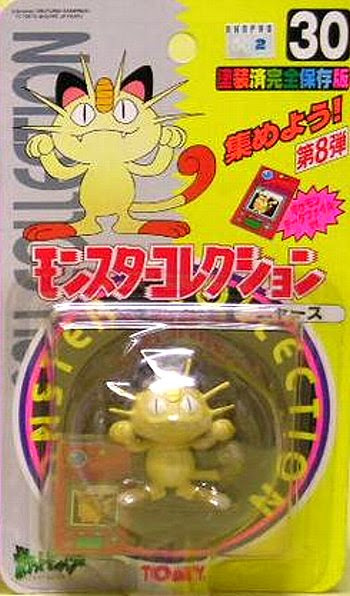 Pokemon figure Tomy Monster Collection series Meowth ニャース. Same pose in Pokemon Block Magikarp Submarine. 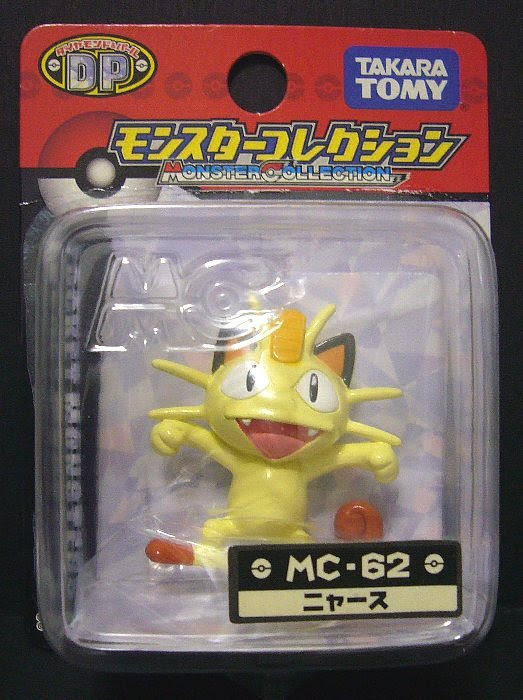 Same pose with new color tone in MC series. 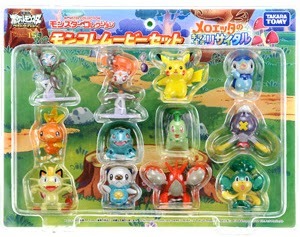 Same pose in 2012 Meloetta movie set. 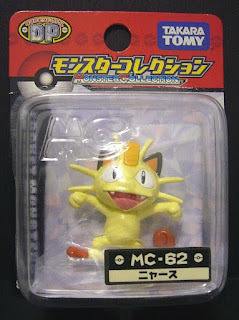 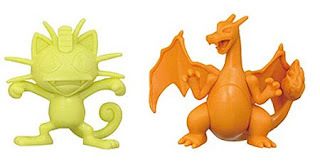 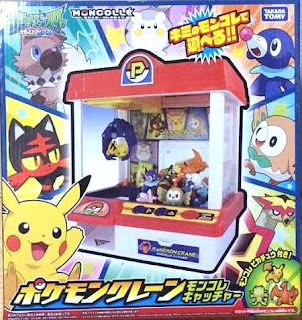 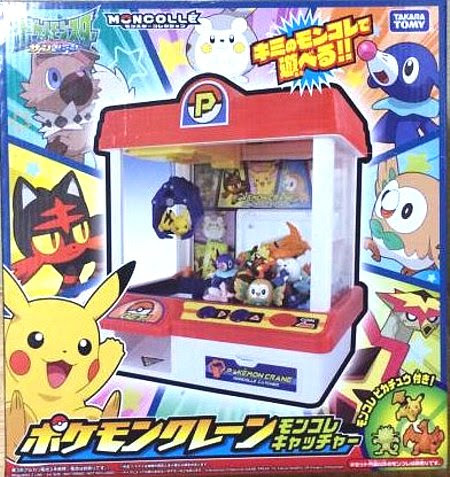 Same pose as MC with neutral color version in Tomy Pokemon Crane Moncolle Catcher. 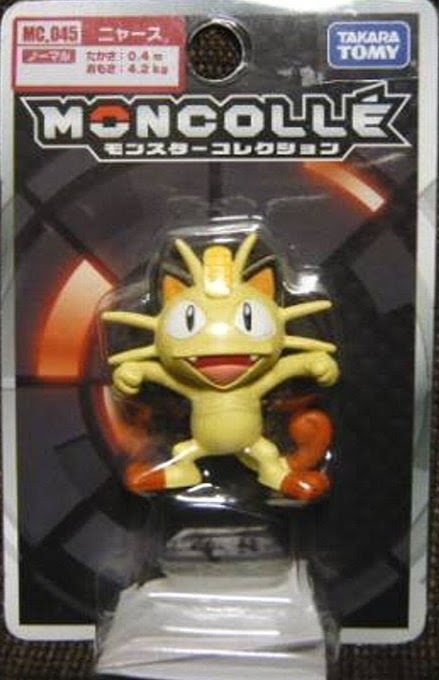 Alolan Meowth in MONCOLLE EX EMC series. Meowth in YJ Auction ?